The Drama & Performing Arts department at Christleton aims to provide students with a safe, friendly and creative community in which they can develop and improve their skills. 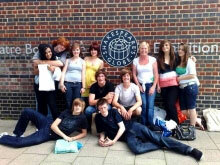 We firmly believe that drama and performing arts are subjects which can provide students with unique learning opportunities, where students are encouraged to come to terms with themselves and the world in which they live; to develop intellectually, emotionally and imaginatively, and to engage with their position as a member of society as well as explore cultures. The department aims to inspire students by providing a range of learning experiences to enable students to fully connect with performance arts as a means of creative communication and as an art form. In Years 7 and 8 students have one lesson of drama per fortnight and study drama techniques and strategies in a variety of challenging contexts. Learning in drama develops communication skills, confidence and encourages collaboration and teamwork. Students who opt to study the subject in Years 10 & 11, will work towards a BTEC Level 2 Tech Award in Performing Arts, over 5 hours per fortnight. Students can choose to study the course through one of three routes: Acting, Dance or Musical Theatre. The course includes exciting theatre trips, learning about the industry and, of course, lots of performance! 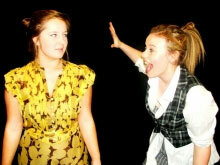 We welcome keen drama students from all backgrounds, not just those who have studied GCSE drama. Our chosen exam board at GCSE level is AQA (for both Drama and Performing Arts).